How do you stay inspired? Today we're sharing this quick & pretty inspirational bulletin board project created my mambi Design Team member Thuy Bui (blog | IG) by combining a few different mambi products with some favorite photos. "Sometimes when I am in a creative rut, I like to pull some of my favorite things and create a mini inspiration board that I can display in my craft room to get my creative juices going. For this particular inspiration board, I used a 12x12" cork board and attached some of my favorite quotes, photos, and embellishments. 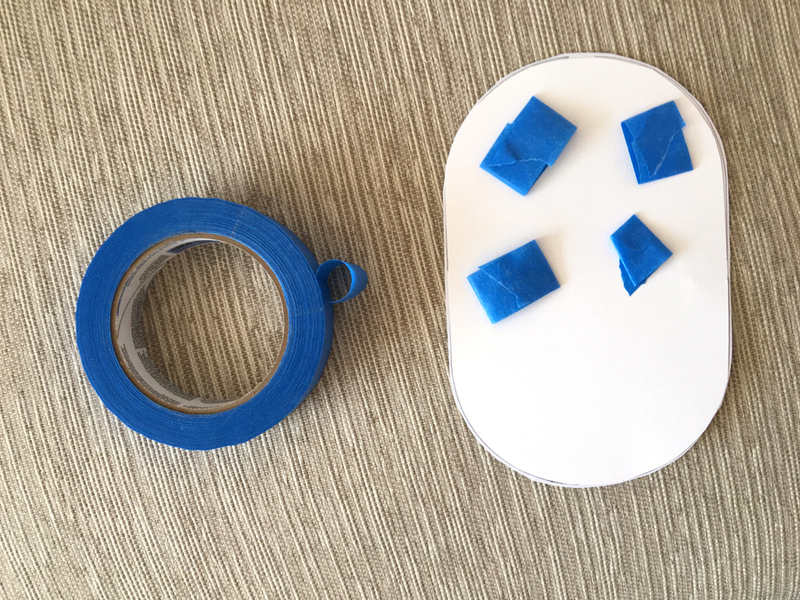 I adhere most of the items using a stapler or fun washi. You could also attached ribbon on the back and hang it on the wall." 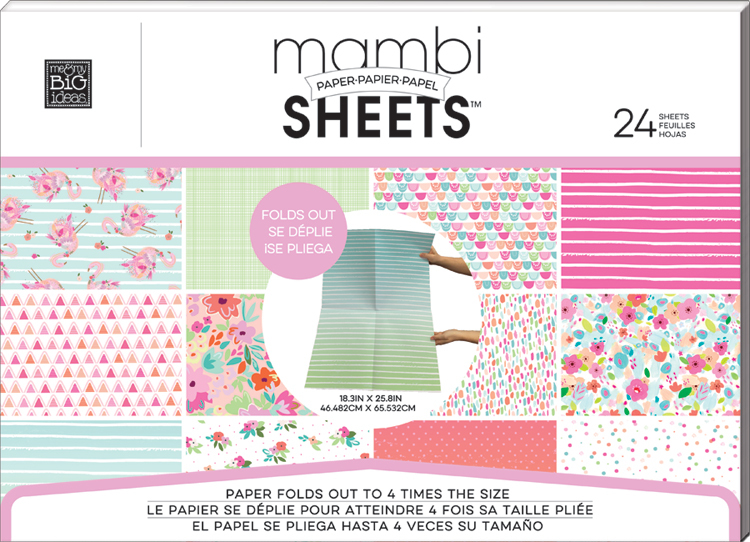 When cardstock is too thick and 12 x 12 inches just won't cover it...mambi's new Expandable Paper Pads to the rescue! These glossy, oversized papers are great for wrapping gifts, BIG or small papercrafting projects, collaging, party decorations and so much more! This week on the blog we are featuring projects created using the Expandable Paper Pads, and the first pair of projects we're sharing are these DIY peony decor pieces created by mambi Design Team member Laura Rahel Crosby. "Floral hangers?! Yes! Now...how did I do it?! For this project, you'll need wooden hangers (mine are from Ikea,) Mod Podge™ or some other decoupage glue, scissors, and the new mambiSHEETS 'Peony' Expandable Paper Pad..
First, you'll need to select which paper you want to use, then cut it into strips that'll cover your hanger. If your hanger has a lot of curves or edges, you'll probably need to cut a strip of paper to cover each edge as the paper won't bend smoothly over the curves of the hanger. I had to do this as my hangers were bigger in the middle and tapered out at the edges. Apply a generous amount of decoupage glue to your hanger and lay your paper on the glue. Use your hands to curve the edges of your paper along the curves of the hanger and let dry. Then do the back!" "I made this gorgeous peony art print in just a few minutes using a frame from Ikea, the new mambiSHEETS 'Peony' Expandable Paper Pad, and gold foil mambiSTICKS alpha stickers. 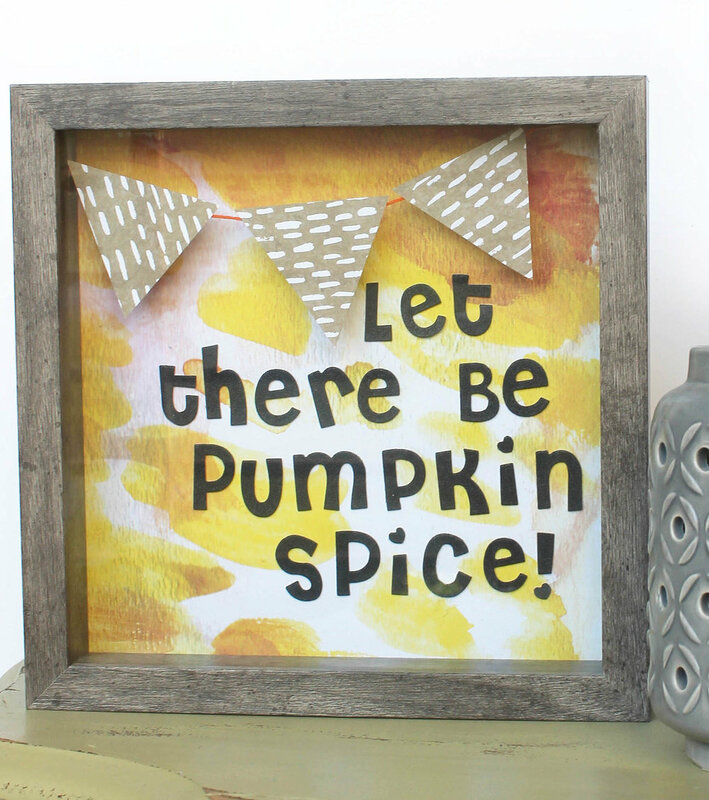 To create this yourself, simply select the paper of your choice, cut it down to fit in your frame and add stickers on top of the glass of the frame. This project, along with the gorgeous floral hangers, will be the talk among all the ladies in your life! ...and seriously? These would make the perfect gift for a girlfriend!" Shop the supplies Laura used by clicking on the items below. Mantles are great for seasonal decorating, and today we're sharing two Easter-themed decoupage projects mambi Design Team member Nicole Lensen (blog | IG) created using the prettiest floral paper in one of the new me & my BIG ideas Expandable Paper Pads, and then placed on her mantle in honor of the holiday. 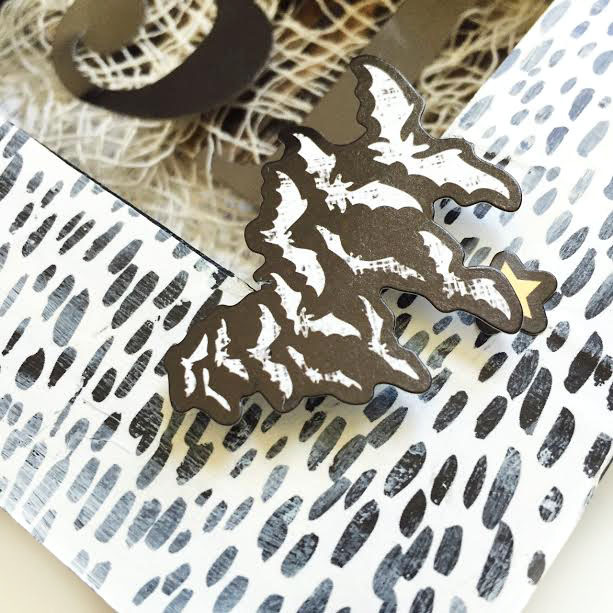 "I picked up a flat wood bunny shape at Michaels. 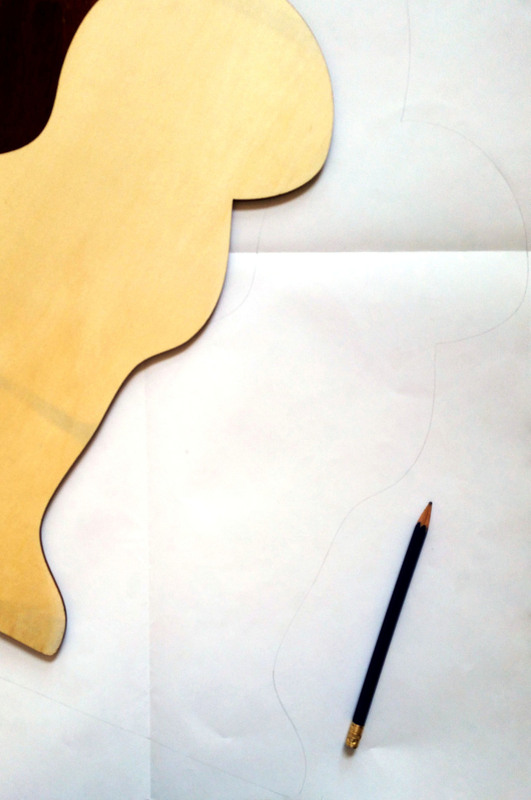 I had Mod-Podge on hand so I simply traced my bunny shape onto my paper, cut it out and got started. After you have cut your bunny shape you are ready to decoupage! Decoupage is seriously so easy. 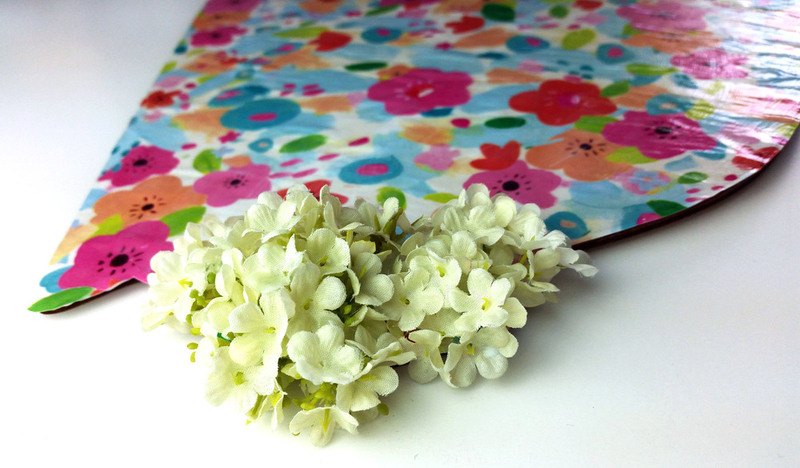 Just grab your supplies, in my case: one sheet of the floral print paper from the 'Juliette' Expandable Paper Pad, the wooden bunny, a jar of Mod Podge and some little faux-flowers - I used mini hydrangeas." 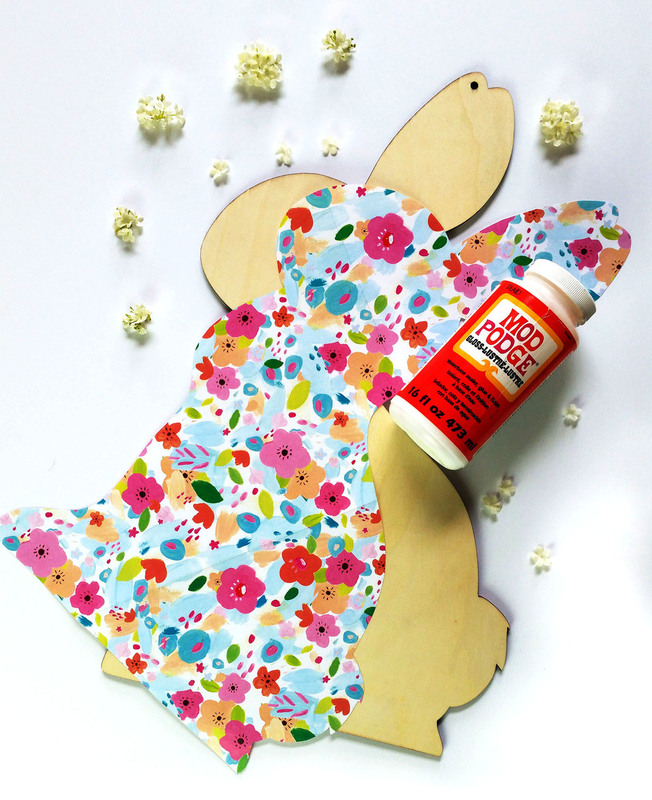 "Pour out a little Mod Podge onto your wooden bunny, smooth it evenly across the surface and hover your paper above your bunny to get it lined up as close as possible. Then, very carefully lay it down on the glue. I start in the middle of the project and smooth my way to the outer edges. Take your time smoothing. I’ve found this is the most important step. Even after the initial pass I give it a couple of minutes and then do another smooth pass over. Once you’ve adhered your bunny you can finish up with a final layer over the top. Pour a little Mod Podge out and rub it all over. I ended up with a little too much so I just swooped it off, with my fingers, and washed it down the sink. Stop smoothing when you’re happy with the final product. Lastly, I felt like the bunny needed a little something extra so I added flowers for a tail. I cut the faux-flower heads off of the stem into smaller bits, so I had more control over the arrangement. I tried adhering the flower pieces with Mod Podge but didn’t have much luck. So I grabbed my trusty Glue Gun. Apply a little hot glue on the tail area and arrange your flower pieces into a puffy bunny tail." "I found a beat-up cork board in the 90% off aisle at Hobby Lobby and picked it up for $1.90! You could use any old cork board you have laying around or even an old picture frame for this project. 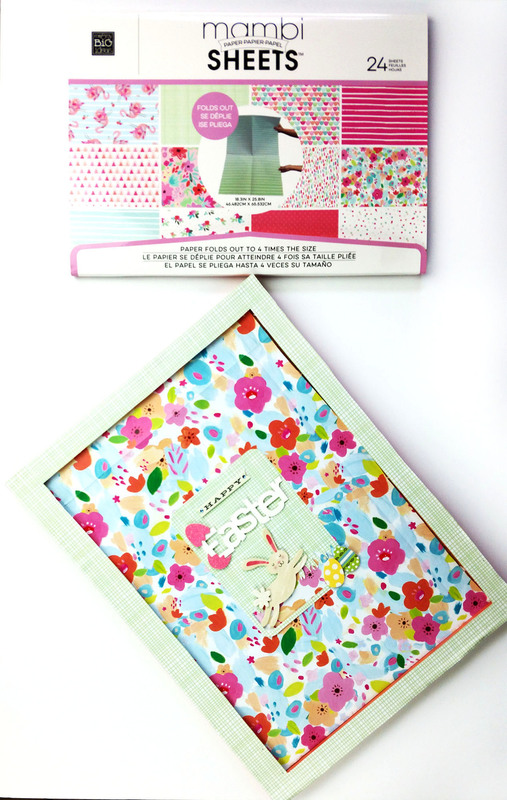 I used the same adorable mambiSHEETS 'Juliette' Expandable Paper Pad as I did for my bunny, and the cutest Easter pack of stickers to revamp my bargain cork board for Easter!" "I laid a piece of the floral paper over the cork board and with an exacto knife, cut around the perimeter of the board. Because the cork board is 18″ in height, the oversized Expandable Paper Pad was perfect! After I cut the rectangular piece out, I didn’t even adhere it to the board. The paper tucked right in but you could put down a little of your favorite crafting glue and adhere the paper to the board, if you so desire. To cover the marred coral frame of the cork board, I choose a light green cross-hatch design from the same Expandable Paper Pad, so that it would compliment the adorable floral print focal pattern. That is the handy thing about buying papers in a pack-they all compliment each other so nicely! For the frame, I laid the cork board over the paper and traced around the edges. Then I measured the width of the actual frame with a ruler and used the ruler to mark several points on my paper so that it would match evenly and cut it out. I cut the corners diagonally and used a little glue to lay an even strip down along the frame then I gently pressed my new paper frame down. Presto. New adorably Spring-ready cork board! I used my Silhouette CAMEO to cut the matching green cross-hatch paper frame, that I centered in the middle of the board. I used a grass frame design but you could just cut a simple rectangle out of the green cross-hatch paper if you do not have a cutting machine. I centered it on the cork board and glued it down to the floral print background. Then I placed my adorable Easter stickers on top." Use your hands as much a possible! Don't stress about getting messy. That's what soap and water are for! Crumple you paper before you glue it down. It feels wrong when you crumple up perfectly prinstine paper, but it smooths out and make the finished product look better. Start with a thin layer of glue and focus on smoothing out the wrinkles on your initial lay-down. Thin paper works best. The thickness of the Expandle Paper Pads worked beautifully for this type of application. For more Easter inspiration, head to our Easter Crafts Gallery page. Follow us on Snapchat: meandmybigideas. Let's be real: the holidays are over, you've taken the decorations down, and now your space looks a little...bare. 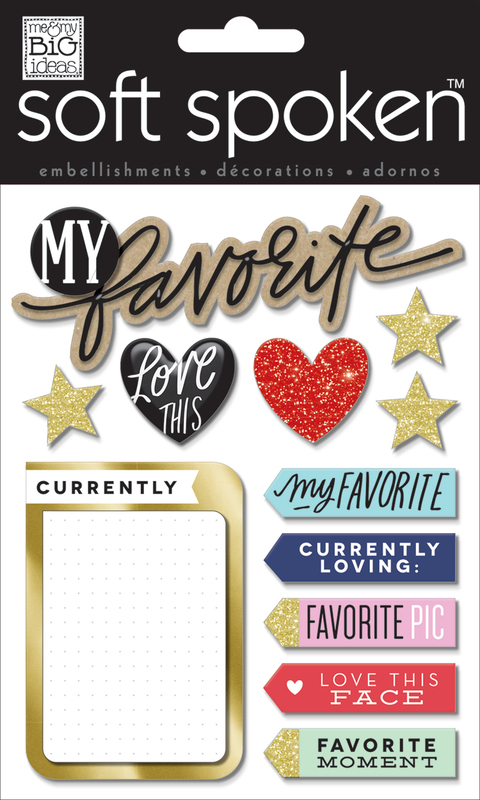 If you're missing the colorful decor that comes with the holiday season, may we suggest trying one (or two) of our DIY Gallery Art Pads. 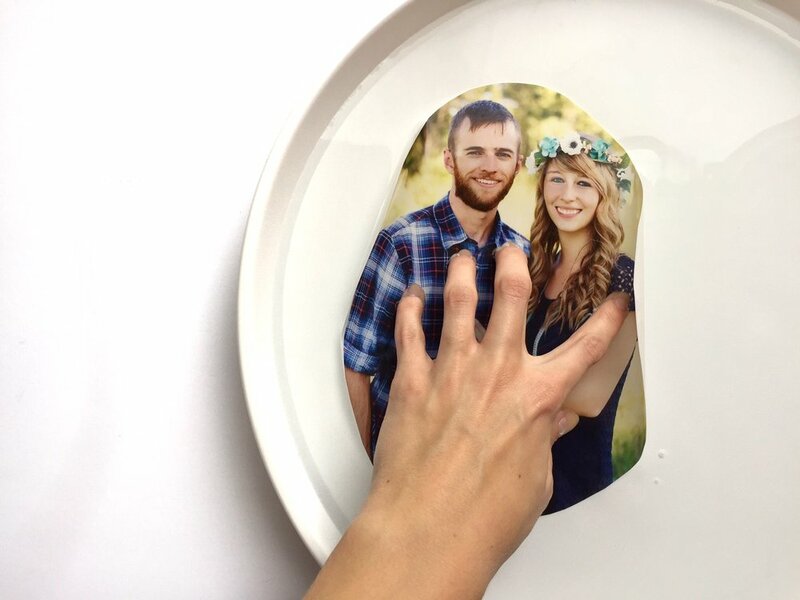 With our DIY Gallery Art Pads, you can spruce up your space in no time like mambi Design Team member Thuy Bui did in her craftroom for today's blog post. "I used prints from the 'Savannah' DIY Gallery Art pad as wall decor in my craft room. I love the idea of using these prints as motivation and to add a little pretty to my atmosphere. Also, great thing is: I can switch them up because they're resting on shelves instead of being framed and tacked to the wall." Shop supplies Thuy used by clicking the image below. For more home decor inspiration, check out our Home Decor Gallery Page. There are two new 12x12 mambiSHEETS Christmas Paper Pads currently available at Michael's Craft Stores, and today we're sharing this 'CUDDLE SEASON' word art that mambi Social Media Coordinator Amanda Zampelli created with them. "These two new Christmas paper pads from Michael's are chock full of the cutest holiday repeat patterns -- a couple of black & white ones, red foil galore, those golf foil hand drawn stars (!!!) ... and they all work so well next to one another. I recently moved into a new apartment, and have a few blank walls that still need to be filled. On the one behind the couch, I had the idea to use these large 8" letter stencils I had gotten a couple of years ago, and spell out 'CUDDLE SEASON' - which was a phrase my boyfriend, John, used a while back to ease me out of my beloved summer season. Who knew months later I'd pull it out of a text message and turn into art on my wall? Creativity is funny like that." Line up the twelve mambiSHEETS you're going to use for each letter. Interchange the real dark & complex patterns (like in the 'U' and 'A') with the softer, lighter patterns (used in the 'L' and 'O'). 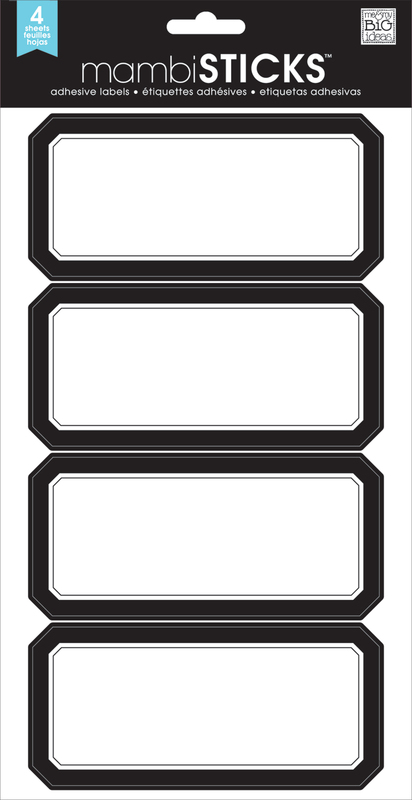 Use the big letter stencil to trace the letter on the back of the mambiSHEETS. For extra support, trace the letter a second time on plain white cardstock as well. Adhere the cardstock letter to the back of the mambiSHEETS letter. Use blue painter's tape on the backs of the letters and adhere them to the wall, starting with the last letter of 'CUDDLE' and the first letter of 'SEASON' Then, work your way outward. "Above is shot of my boyfriend John and I, cuddling under the covers with bowls of ice cream & the mid-season finale of The Walking Dead - putting the sentiment of my project into real life practice. I love when a craft is created at just the right time and in the right place to bring to life happy moments like this." How's your Halloween decor coming along? 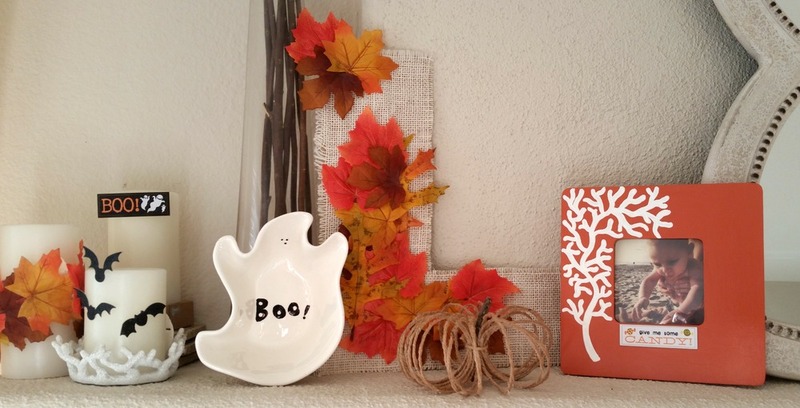 Today we're sharing how new mambi Design Team member Nicole Lensen made her Halloween-themed mantle all about the details. To do so, Nicole added a few bat-shaped & monster-portrait chipboard stickers from a new Halloween pack of mambiCHIPS. 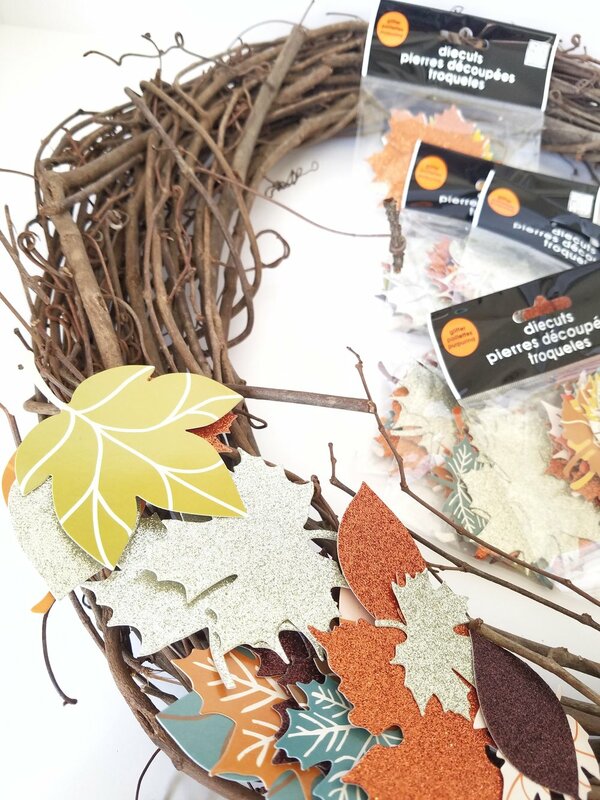 "I fell in love with the new Halloween mambiCHIPS pack and even after decorating my Happy Planner™ with them, I had a ton left over. I decided to 'live creatively' and stick them all over my mantle! I love how it turned out and it makes me smile every time I walk by. This was a super simple way to decorate for Halloween and took me all of 15 minutes! I just stuck the bat stickers on my usual frames and candles to make them spooky for Halloween and I especially adore how the bats look flying up the top of the wall! I took the little monster faces mambiCHIPS and stuck them on my paper pumpkins below the "Trick Or Treat" sign. I love this pack of mambiCHIPS because they get us into the spirit without being too scary for my little ones!" Shop the mambiCHIPS Nicole used by clicking on the image to the left. head over to our Halloween Gallery page.